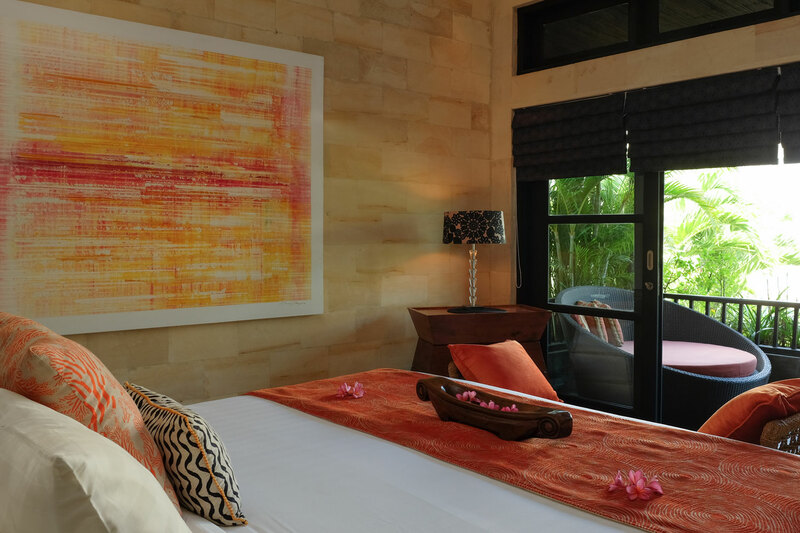 Amanputri offers a fusion of Asian and contemporary furnishings. Antiques and artworks, clad the beautiful stone walls combining elegant touches for your comfort. This two-bedroom residence is on two level, and has recently been remodelled to give it that splash of fresh flair, whilst applying a dash of elegance. We have now included architecturally designed recessed bedroom ceilings, highlighted with LED lighting and applying the added benefit of insulation for a cooler environment & soundproofing. 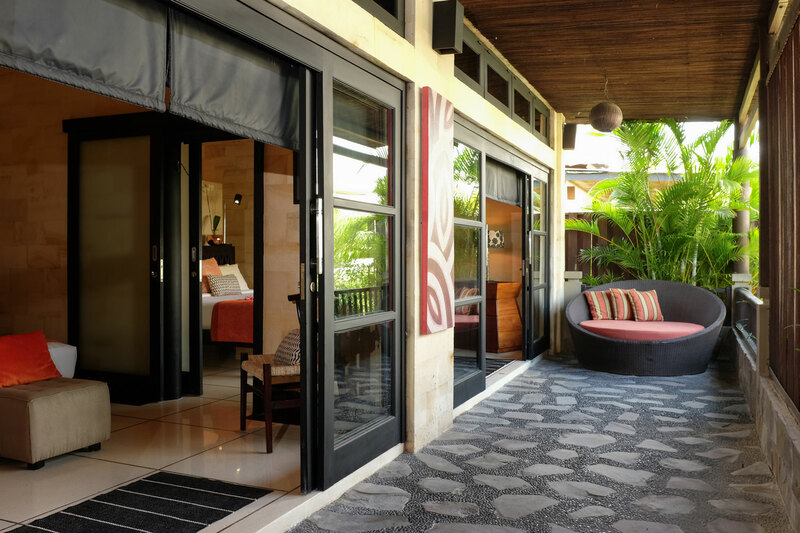 Our interconnecting bedroom doors, a rare feature in Bali. This gives you the option to walk directly into the other bedroom, offering piece of mind for young families or if sharing with friends, then simply close and lock these doors for complete privacy. An upstairs terrace leads from each bedroom which gives you another area to relax & chill. 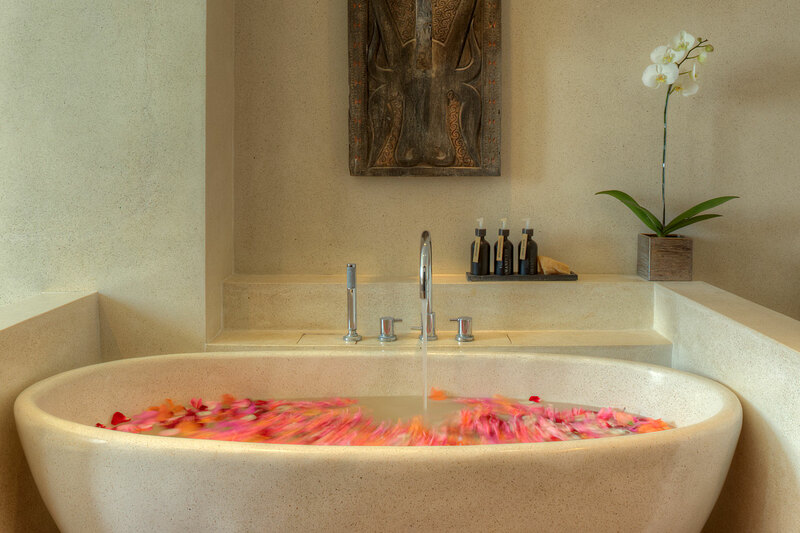 Spacious Super sized king beds, high thread count sheets, and luxurious bathrooms designed around a freestanding bathtub with His & Hers’ vanities. Fully equipped modern kitchen, complete with espresso machine & coffee grinder for those who just can’t do without a great coffee first thing in the morning. We also offer you a couple of complimentary mobile phones to use, which are a great way to keep in contact with family & friends whilst travelling around the island. Living areas and both bedrooms have large glass sliding doors, which are lockable for enclosed security. 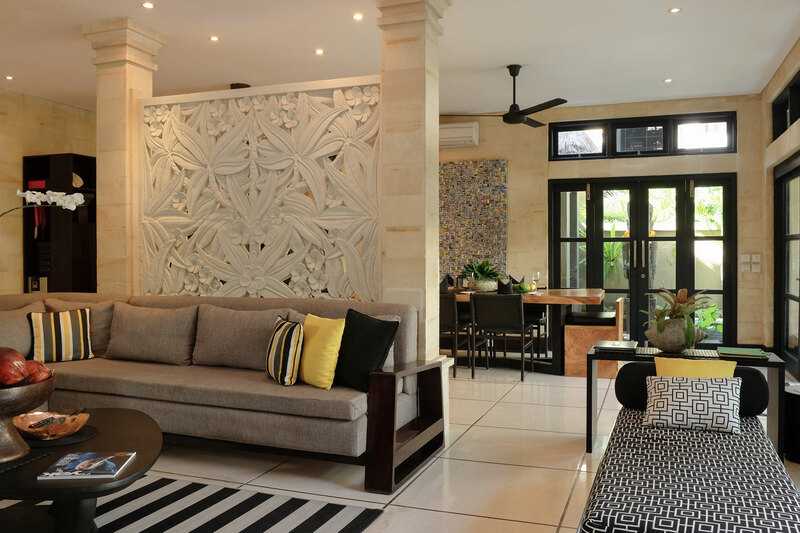 This added benefit, allows protection from the elements, which is a welcomed “must have” feature living in Bali’s tropical climate. This feature will provide you with a secure, comfortable and cooler climate, which is fully air-conditioned for both living and sleeping. 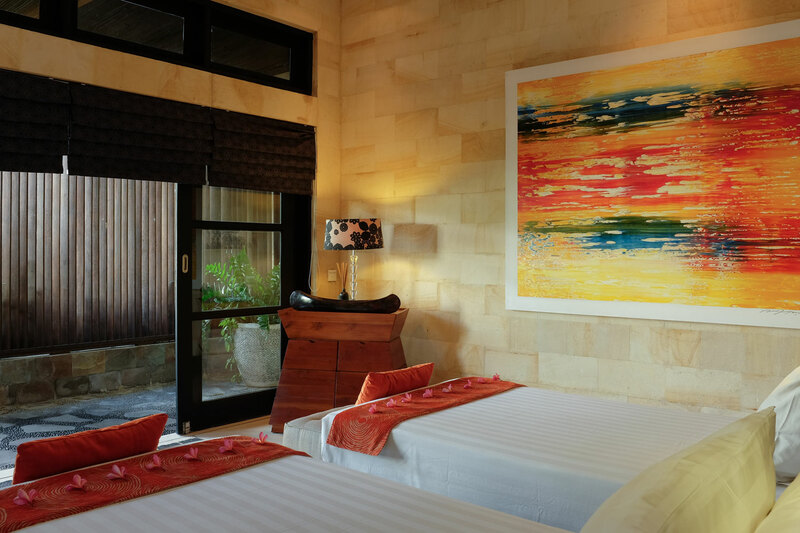 Amanputri comes fully serviced and managed by a wonderful team, which includes private security guards. Its also offers a little ‘Indulgence’ by the way of your own personal butler, who will ensure your personal needs are meet by preparing your delicious breakfast each morning, along with providing exceptional service, which will entice you back again and again.